New Orleans, Crescent City, N’awlins, the Big Easy, NOLA… whatever you want to call it, New Orleans is a city that everyone should visit! There is so much that this city offers. 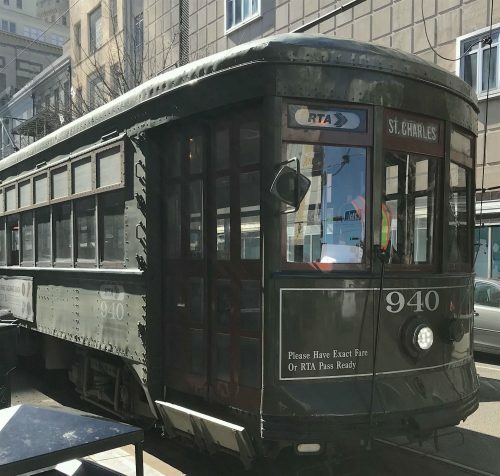 New Orleans has a ton of history, good music and even better food. It is truly a one of a kind city! 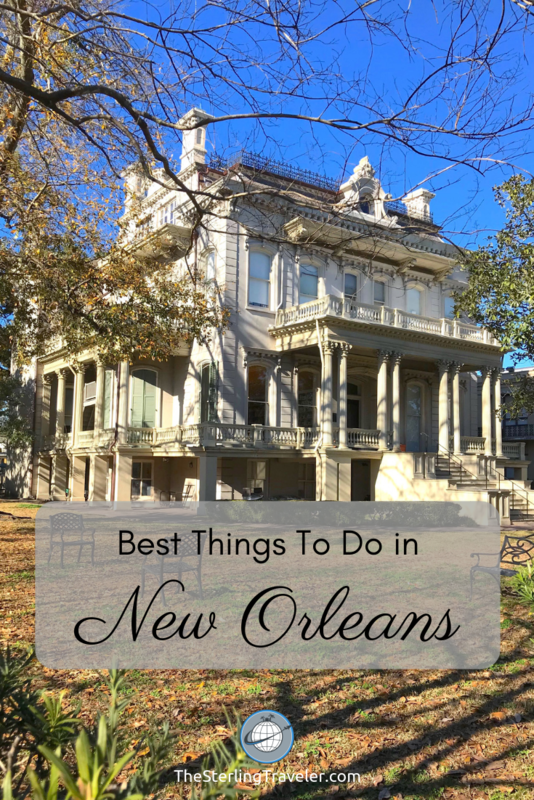 Planning a trip to New Orleans can be daunting as there is SO much to do, see and eat. Here’s the best three-day itinerary that I wish I had before visiting. The French Quarter is where famous Bourbon Street is as well as most of the action for tourists. Beyond the craziness of Bourbon Street and the lack of strict container laws (which means you can walk around with your favorite booze) in New Orleans, this neighborhood offers so much more. Dating back to 1718, the French Quarter is the oldest neighborhood in New Orleans. Yes, that means this year is New Orleans’ tricentennial! As I mentioned the city is full of history, and the French Quarter is jam-packed with it. I highly recommend taking a walking tour with Free Tours by Foot. My tour guide, Kyle, gave an excellent overview of the history of the neighborhood. 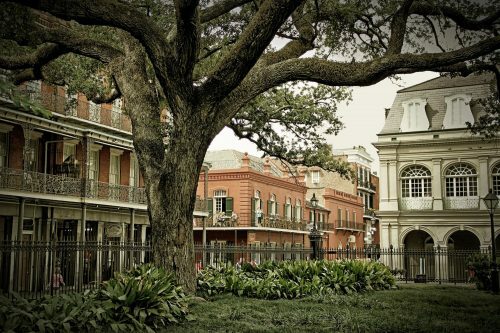 The “pay what you want” tour covers everything from the founding of the city 300 years ago, to Jackson Square and Baroness Micaela Almonester de Pontalba (say that 5 times fast! ), to the foundations of jazz music. The tour will end around lunchtime and Kyle was happy to give recommendations of where to eat and what to do afterward. He recommended going to Coop’s Place and getting jambalaya. I love creole/cajun food and this jambalaya was by far the best I’ve ever had. Take your time to talk to fellow patrons, and laugh at the signs and stickers in the eclectic dive bar. After lunch, stroll along the streets of the French Quarter. 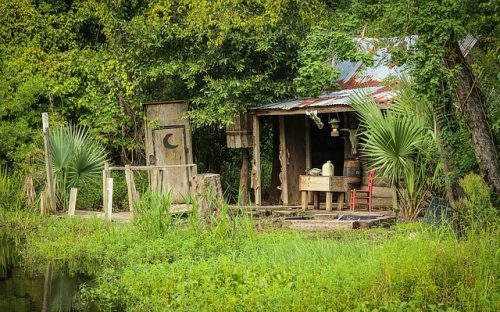 I have no doubt that you’ll want to revisit at least one of the sites that you learned about on the tour – perhaps the longest running bar in the US, Lafitte’s Blacksmith Shop? After dark, go on a ghost tour with Ghost City Tours. Even if you’re skeptical about ghosts, going on a ghost tour is just one of those things you do because you should. It’s fun, kooky, and tells the tales that aren’t talked about on other tours. My tour guide was funny and immersed ourselves in the stories she told. There are several tour operators that offer ghost tours, but it seemed like my group was smaller than the others. This made it more fun and intimate. One stop on the tour is the Lalaurie Mansion – the most popular house in New Orleans – once home to Nicolas Cage. The events that unfolded there decades ago are startling even by today’s standards. Disclaimer: I was an invited guest on this tour, but all opinions are my own. No visit is complete without a visit to one of New Orleans’ famous cemeteries. There are many cemeteries that are free to walk around. I like to make the most of my time no matter what city I’m visiting. Touring a cemetery without a guide would be meaningless as you will have no context of who was “buried” and their background. Of course, you could spend several hours Googling and trying to piece together your own visit, but why not take a tour with someone who did that work for you? Plan a visit to one of the most famous cemeteries in New Orleans – St. Louis Cemetery #1. It is one of the first cemeteries in the city, and can only be entered with a tour guide which makes it the perfect cemetery to visit. The afternoon is the perfect time to hop on the St. Charles historic streetcar at Canal & Carondelet/Bourbon. For only $1.25, take it to Washington St which is the heart of the Garden District – the neighborhood full of historic mansions. 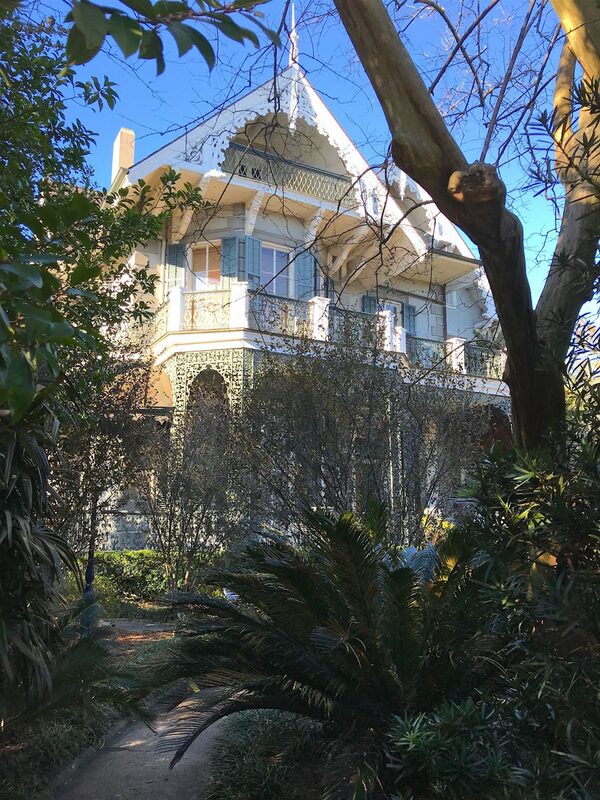 I followed a self-guided walking tour which will take you to the more notable mansions – those owned by authors and celebrities such as Anne Rice, author of Interview with a Vampire, and actress Sandra Bullock. There are other mansions that are just as big and opulent which aren’t mentioned so keep your eyes peeled. However, do be careful walking around. New Orleans is famous for its uneven sidewalks – especially in the Garden District. I remember one part of the sidewalk which was over a foot above the rest of the sidewalk! Keep an eye on the weather. Bring an umbrella with you, if rain is forecasted. 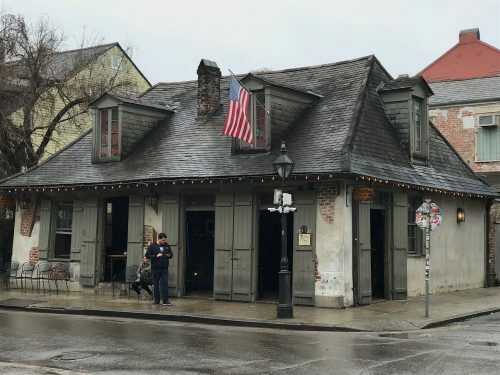 Unlike the French Quarter, there aren’t any places to hide under for shelter! New Orleans is also famous for its live music. It was, after all, the birthplace of jazz. It is likely you’ll be able to find a small group of people playing some music on a street corner. To get the best live music experience, head over to Frenchmen Street. It’s just outside the French Quarter to the north, and has a plethora of jazz bars. There are typically no cover charges so you can listen and bar hop to your hearts ear’s content. The Spotted Cat is the one of the more popular bars, but be aware that it is cash only. If you only want to go to one place, I recommend Bamboula’s, which is located near the beginning of Frenchmen. It has such a cool atmosphere with a friendly wait staff. Your third day in New Orleans will depend on the weather. I got lucky with the weather during my visit to New Orleans. It was during the winter, but it didn’t get that cold or rainy. There are activities you can do no matter if it is hot and humid, or cold and rainy. Don’t worry about flooding if it rains. Unlike popular belief, there are parts of the city that are above sea level. One activity that I didn’t do because it wasn’t warm enough was a swamp or plantation tour. While it would have been nice to get away from the noise in the French Quarter, being on a boat speeding through the bayou, when it was 45-50 °F, had no appeal to me. On the other hand, if I was visiting during the summer, nothing would sound better! If careening on a boat through the bayou doesn’t appeal to you, then perhaps a plantation tour would more intriguing. New Orleans was the largest port for the slave trade. I won’t say a lot about slavery. However, it is important to keep in mind that New Orleans had laws (called Code Noir), which were progressive for the time, that gave slaves certain freedoms and protections. Touring a plantation shows how life once was. No matter what time of year you visit NOLA, there’s a good chance that it will rain. There is so much to do outside, but what about something to do indoors? I heard raving reviews about the World War II Museum. To get the most out of a visit, it requires at least 4 hours. Part of me wishes it rained more so I had a good excuse to visit the museum. (Un)Fortunately for me, the weather was near perfect and I couldn’t bring myself to stay inside for that long. The World War II Museum is high on my list for my next visit. If it was too cold to do a swamp tour but not rainy enough to stay inside, what the heck did I do?!? I like to cook and love to eat. 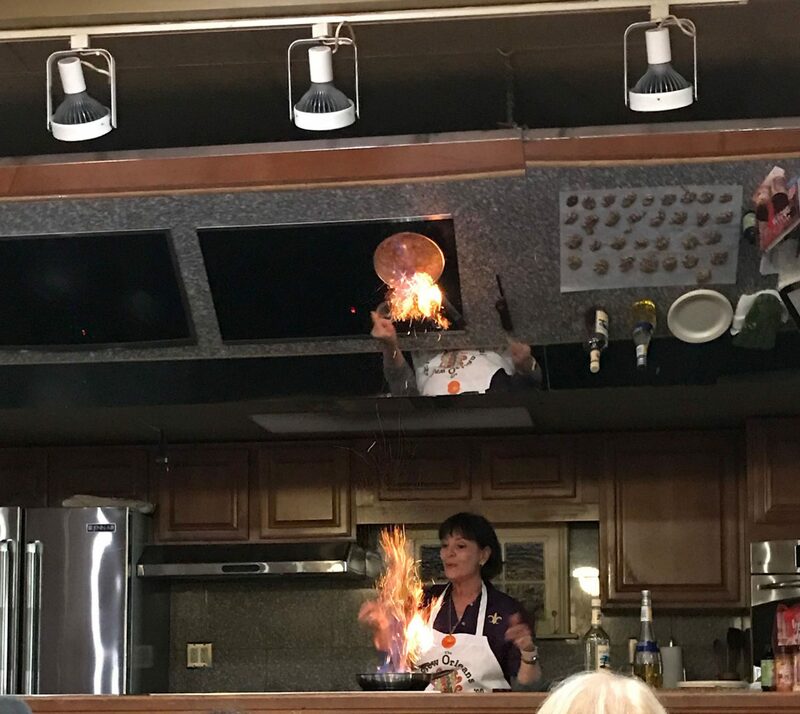 I took a cooking class at the New Orleans School of Cooking! For only $35, I learned how to make the staples of cajun/creole foods – gumbo, jambalaya, pralines and bananas foster! Of course, I got to eat the food as well. It was such a fun experience! The city absolutely blew me away, and far exceeded my expectations. I am not surprised that so many people say New Orleans is one of their favorite cities. It might be one of mine as well. Enough good can’t be said about it, but there are some drawbacks. 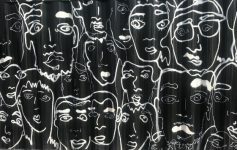 There is a highly visible homeless population. Although most of them are harmless, there was enough that all of my tour guides told us to stay on certain streets in the French Quarter at night. 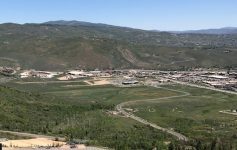 I felt fairly safe there, but definitely remained aware of my surroundings – as one would do in any city. As you can tell, food was a huge part of my visit. So much so that it deserves its own article. Read more here! Great timing. 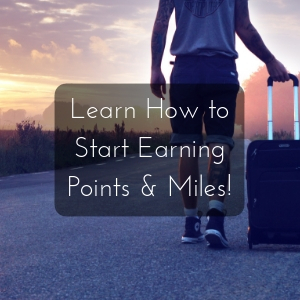 I am currently scoping out flights around early July that aren’t through the roof! 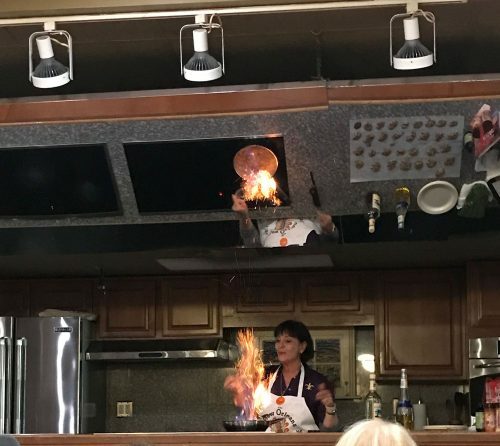 I would take a cooking class too. I would love to learn the secrets of a good creole dish. Thanks for heading over to Fly Away Friday! Hope to see you this Friday! Wonderful! You just missed Mardi Gras. It starts two and a half weeks before Ash Wednesday, so around late January-early February. 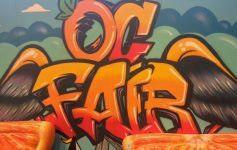 Hope you saw the next post about the food! Feel free to reach out to me if you want help planning your trip! It’s an awesome city.